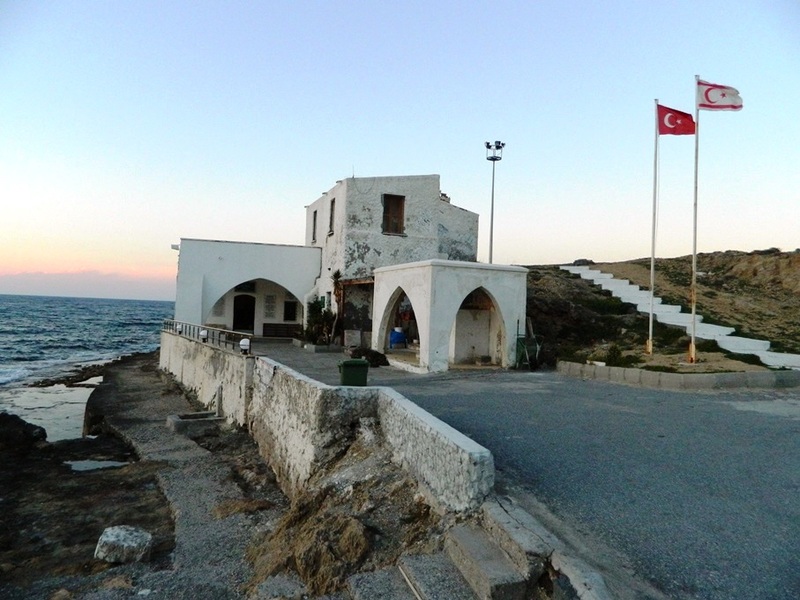 North Cyprus, like adjoining Turkey, is a secular Muslim country. 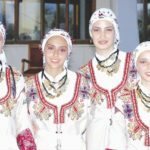 This means that Islam is not enforced (the country welcomes residents and visitors of all religions or none) yet there is a strong, peaceful and very spiritual Muslim presence making North Cyprus ideal as a Europeanised Muslim holiday destination for families seeking halal and Eid holidays. 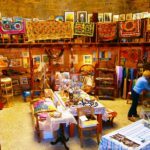 Even non-Muslims enjoy the oriental flavour of North Cyprus with its beautiful and ornate tiled mosques, the distant call to prayer, Turkish crafts and culture – giving it a very different flavour to the Greek South of the island. 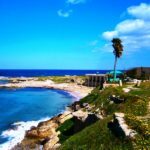 Muslim families from the Middle East and all over the world enjoy visiting North Cyprus since they can enjoy a Europeanised Islamic culture with access to Islamic culture as well as the fact that the restaurants serve Halal Food. 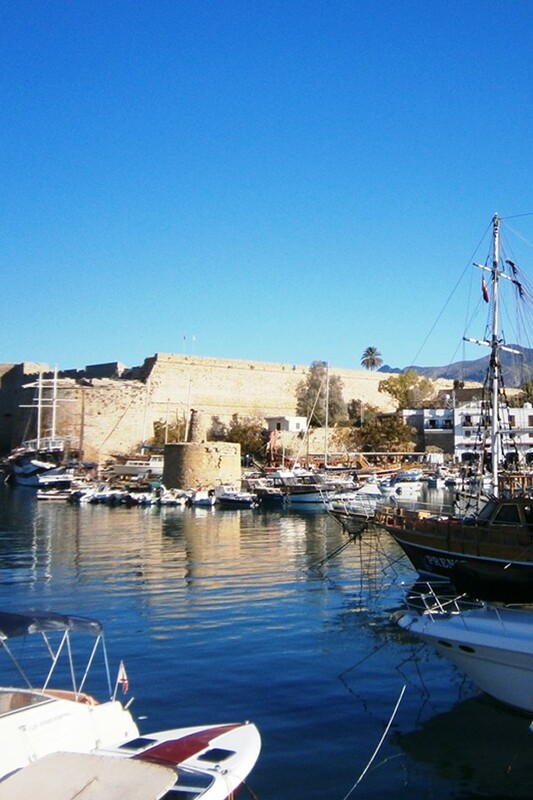 Western visitors to the former British colony of North Cyprus can, of course, enjoy all the normal facilities of a European holiday destination (bars, beaches, restaurants, etc.) yet a more reserved Muslim family can, if they wish, easily find a location or hotel to stay in which is more private as well as restaurants to enjoy their halal food and beautiful mosques to pray in for the daily prayers. 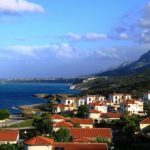 In that sense, North Cyprus is truly where “East meets West” and a perfect and cosmopolitan holiday destination with English widely spoken. Many Middle Eastern Muslim families customarily travel abroad for the two “Eid” holidays every year – one at the end of the fasting month of Ramadan (Eid Al Fitr – One of Eid Holidays) and one two months later (Eid Al Adha – One of Eid Holidays). 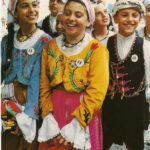 Northern Cypriots celebrate these festivals with the Turkish word of “Bayram” – the first is known as Seker or Ramazan Bayram ( or Sugar Holiday as Turkish sweets are served during celebrations) and the second as Kurban Bayram. 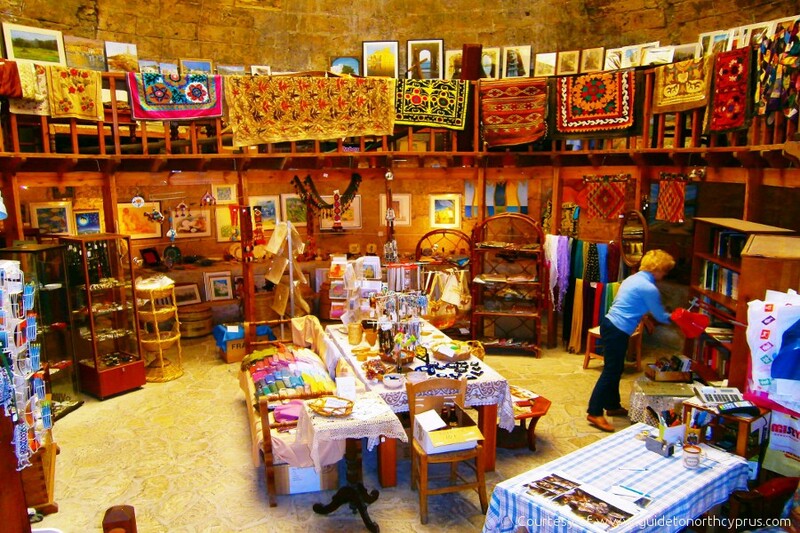 During this period of time, businesses are usually closed and there is a lovely festival atmosphere. Eid Holidays visitors are advised to book their flights well ahead of time since flight prices can rise high if booked last minute. Many Muslim visitors from the Middle East can benefit from the fact that no advance visa is required to arrive at Ercan Airport (the North Cyprus International Airport) if flying via Turkey (usually Istanbul) – neither is a Schengen visa required to enter North Cyprus by this route. This enables nationals from countries such as the UAE, Qatar, Bahrain, Oman and Kuwait to come to North Cyprus easily with a quick stopover in Turkey, whilst the European/former Commonwealth ex-pats living in those countries tend to arrive at the European Larnaca Airport in South Cyprus and cross over the border. Whichever way you arrive for your halal holiday, you are certain of a very warm welcome in North Cyprus. 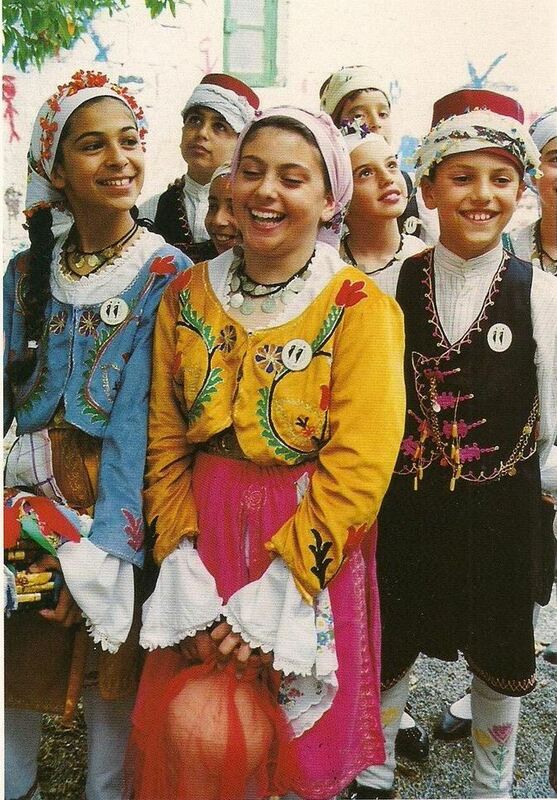 Turkish Cypriots are famous for their welcoming personality – something also found in Turkey and common throughout the Middle East in general. 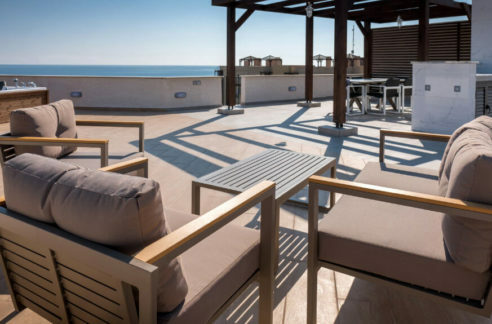 In Islamic culture, hosting a guest is seen as very important and many people find themselves returning year after year to re-experience the genuine hospitality of Turkish Cypriots, the stunning mountain and Mediterranean scenery and the lovely Turkish Cypriot food. 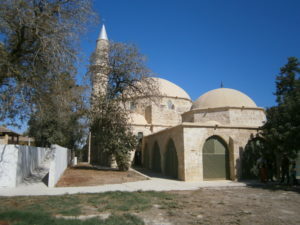 If you are Muslim, or interested in Islamic history, you will find some fascinating Islamic history in Cyprus. Although most people assume that Islam arrived in North Cyprus with the Ottomans in the 16th Century, in fact, Islam first came to Cyprus just after a few years Islam was founded. The aunt of the Prophet Muhammad’s (PBUH) Nursemaid, Hala Sultan, came with a missionary expedition in the year 647 – 649 and died when she fell off her horse near to modern day Larnaca. She was buried on the island but when Islam left Cyprus for many years, her grave fell into anonymity. Many centuries later, a Sufi Sheikh or Dervish was shown in a dream that she was buried there and her grave was rediscovered. A larger tomb was built around it which legend has it has been the site of miracles and today a lovely Hala Sultan Tekke Mosque is visible from Larnaca airport which is, in fact, the 3rd (or some scholars say 4th) holiest pilgrimage site in Islam. Any Muslim visitors with Schengen visas, as well as any visitor with an interest in history, are well advised to make a detour to visit this Holy Site. If you are not able to visit this wonderful Mosque and Tomb, you will find some other ancient Islamic Tombs in the Hazreti Omer Tekke Mosque just near to Catalkoy, Kyrenia. Less ornate, and less well known, this beautiful and still functioning mosque houses the tombs of seven Muslim saints. It dates from the Muslim expeditions of the 7th century and was revered as a holy place even by the Orthodox Christians when they were living in that area. Whatever your religion, to go down to this lovely seafront mosque at dusk, to hear the call to prayer and either pray or just sit and take in the atmosphere whilst others pray, is a truly unforgettable experience. 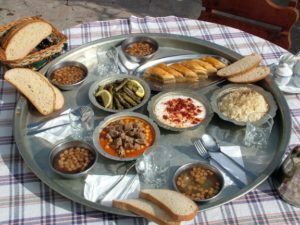 The Halal diet is, of course, important in North Cyprus – if you are not Muslim you will not notice much difference (apart from the lack of pork in restaurants – although there are British shops which sell this). 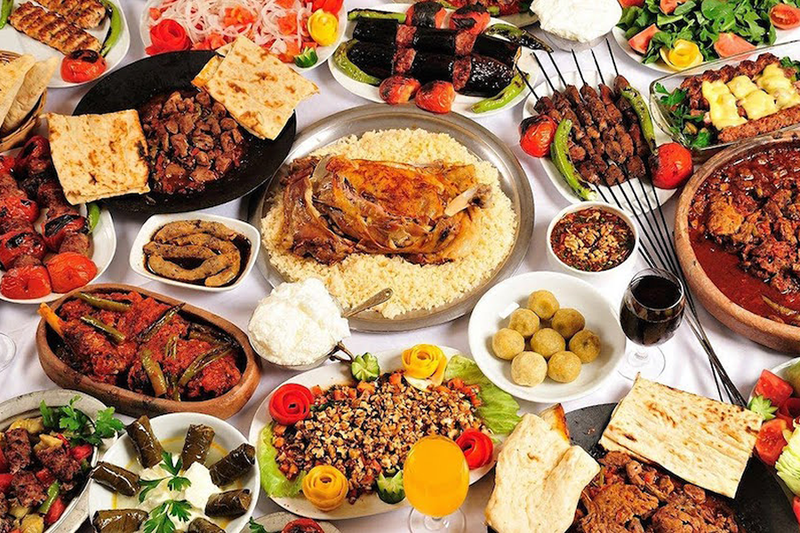 The food is delicious for all and similar to the Turkish diet with the addition of lovely Cypriot specialities (especially the slow clay-oven cooked lamb dishes). 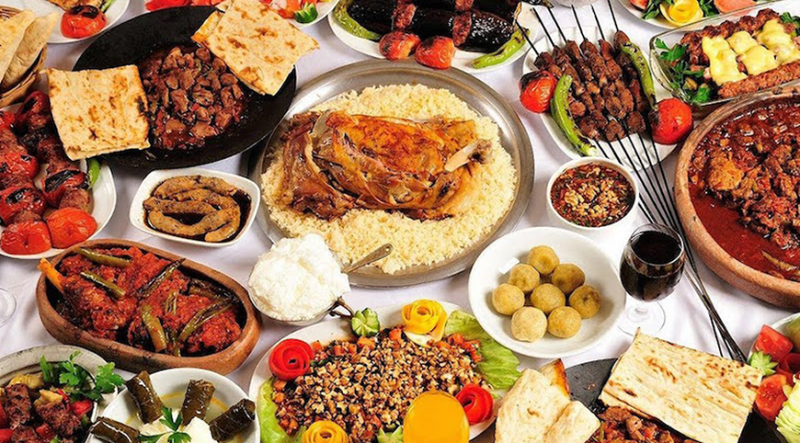 All meat and other foodstuffs sold and served in North Cyprus supermarkets and restaurants, however, is halal unless otherwise indicated – and lamb and chicken are the most commonly served meats. This means that you can relax and enjoy your holiday with a fabulous choice of halal restaurants if eating Halal is important to you. 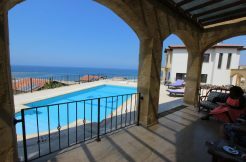 With the Eid Al Adha ( Bayram – Eid Holidays ) holiday just a few weeks ago, North Cyprus International is happy to help any Halal Holiday seekers who would like to combine their holiday with property viewings. 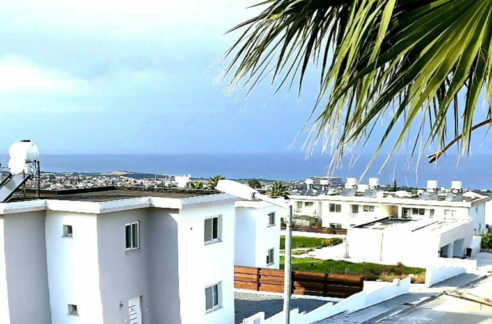 We can offer you and your family 3 free nights in a luxury self-catering apartment with a restaurant serving halal food just nearby. 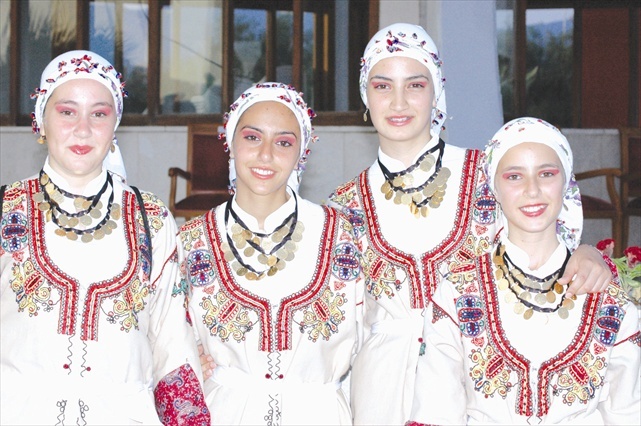 You will find our staff knowledgeable on all aspects of Islamic culture and history of Cyprus and we look forward to welcoming you to North Cyprus soon.